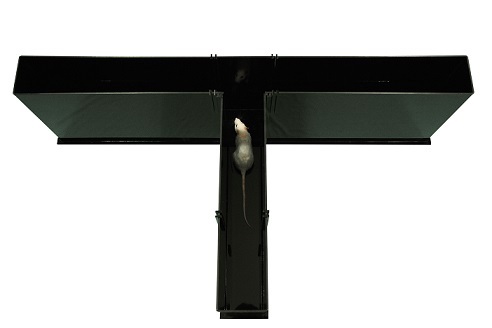 T-mazes are used to study rodents cognition experiments. The easy shape provides to the rodent a straightforward choice. Animal starts from the base of the T and walks until it chooses one of the goal arms. Normally if rodents perform two trials quickly, during the second one the rodent tends to choose the arm not visited before. The aim is reflecting its memory of the first choice. The material is translucent to the infrared light to get the best detection of your rodents.